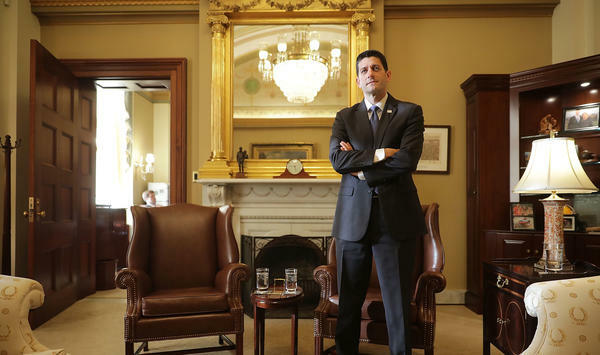 House Speaker Paul Ryan and fellow Republican leaders Sen. Mitch McConnell and President-elect Donald Trump have big plans for the new year with their party controlling both the White House and Congress. Just before House Republicans re-elected Paul Ryan as their speaker, the Wisconsin Republican made a bold proclamation. "Welcome to the dawn of a new unified Republican government," Ryan told reporters one week after Election Day. "This will be a government focused on turning President-elect Trump's victory into real progress for the American people." Ryan continued: "If we are going to put our country back on the right track, we have got to be bold, and we have to go big." That "be bold, go big" agenda is still in its early planning stages, but Ryan, Senate Majority Leader Mitch McConnell and incoming President Donald Trump have outlined plans to repeal and replace Obamacare, overhaul the federal tax code, slash federal regulations, invest in infrastructure projects and seal the U.S.-Mexico border. All told, it's a legislative program that would affect every single person and business in America. Recent history is on the GOP's side. When the White House and Congress have been controlled by the same party, Washington has produced some of the most sweeping — albeit politically polarizing — legislation aimed at shifting the political trajectory of the nation toward the cause of the party in power. In particular, the first two-year congressional session of a new administration — when public approval is generally at its highest for the incoming president — has produced some recent presidents' most memorable legislative imprints. President Obama's health care law and Wall Street overhaul both passed in 2010 under Democratic control and along party lines. President George W. Bush signed the No Child Left Behind education law and the Bipartisan Campaign Reform Act into law and enacted a round of tax cuts, as well as legislation that created the Department of Homeland Security after the Sept. 11 attacks in his first two years in the Oval Office. President Bill Clinton signed the Family Medical Leave Act, gun-control legislation, including an assault weapons ban, and legislation to prevent and prosecute violence toward women before Democrats lost control of Congress in the 1994 wave election. "Put up and show up"
McConnell has already outlined Republicans' plans to take aim at Obamacare and initiate an overhaul of the tax code in 2017. They also want to use the same budget rules that were used in the past to enact Bush's tax cuts and Obama's health care bill, because certain budget bills can't be filibustered in the Senate. "The two biggest impediments to growth in our country are over-regulation and the tax structure," McConnell said. "And the president-elect seems to be committed to addressing both of those, and the Republican majorities in the House and Senate are as well." Incoming White House Chief of Staff Reince Priebus told conservative talk-radio host Hugh Hewitt that the first nine months of 2017 will be "consumed" by health care and tax legislative pushes. "Now, it's time for being in the majority," Priebus said, "and I can tell you President-elect Trump is going to lead the way to put up and show up." Democrats are skeptical Republicans will go through with it. Despite years of unanimous opposition to the law, the GOP has never found consensus on how to replace it. "They don't know what to do," incoming Senate Minority Leader Chuck Schumer told reporters before Congress adjourned for the year. "They have nothing to put in its place and, believe me, just repealing Obamacare, even though they have nothing to put in its place and saying they'll do it sometime down the road, will cause huge calamity from one end of America to the other." Retiring Senate Minority Leader Harry Reid warned Republicans against dismantling the health care law. "It will lead you into a quagmire that will cause pain for millions of Americans and bedevil you for the next four years," he wrote in a New York Times opinion piece. Is a Medicare overhaul coming? Democrats like Reid and Schumer believe Republicans have misinterpreted the results of the 2016 election, with Trump claiming a mandate despite losing the popular vote and entering office with historically high negative ratings. Many Democrats say GOP efforts to dismantle Obamacare will hurt the party in the same way Bush's 2005 push to overhaul Social Security damaged the party and played a role in the Democratic takeover of Congress in 2006. "We had a plan. We stuck with it. It was unified, strategic and unwavering," said House Minority Leader Nancy Pelosi, D-Calif., of the 2005 entitlement fight. Pelosi said Democrats won that legislative fight despite Bush enjoying high approval ratings at the time. That fight provides the blueprint Democrats are expected to follow next year to defend Obamacare and, potentially, GOP efforts to reshape Medicare. Ryan has long been a proponent of overhauling Medicare for future retirees from a guaranteed benefit to a premium support system in which seniors are given subsidies to purchase health insurance from the private market. Ryan will have a powerful ally next year: Rep. Tom Price, R-Ga., Trump's nominee for Health and Human Services Secretary, shares Ryan's view on Medicare. But old rules and battle lines are unreliable future predictors for a Trump administration. At the risk of understatement, the incoming president has succeeded by defying political norms with a brand that appeals to the older, white voters that Democrats used to be able to rely on to scare Republicans away from touching entitlement programs. The Republican Party also remains philosophically divided between the traditional, interventionist, fiscal hawk "Ryan Wing" and the populist, isolationist "Trump Wing" of the party. Early signals point to the Trump Wing having the upper hand at the start. When Trump intervened with Indiana-based Carrier Corp. to pressure the company to remain in the U.S., Ryan, a staunch free-market conservative, applauded. "Well, I'm pretty happy that we're keeping jobs in America, aren't you?" Ryan said. 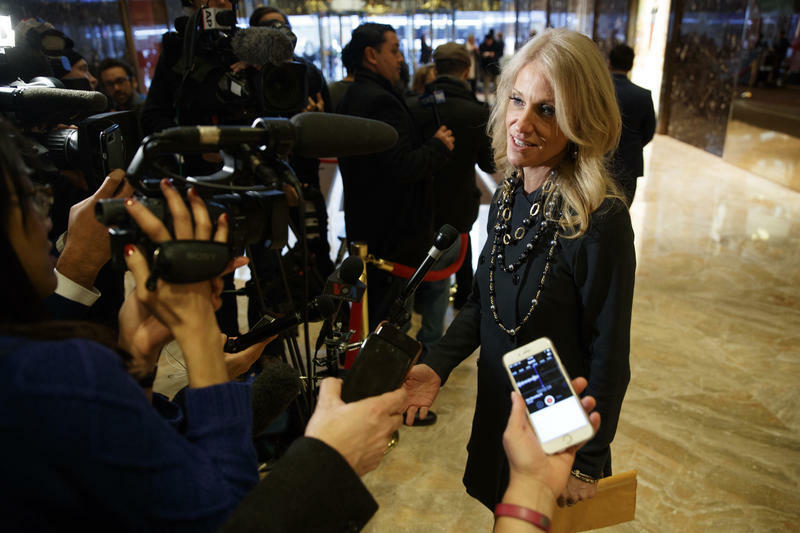 Notably, one of the few voices of opposition to Trump was former Alaska Gov. Sarah Palin — an icon of the Tea Party movement — who called out the Carrier intervention as crony capitalism. It barely made a ripple. Another sign the Trump Wing of the party is ascendant: Ryan — long described as a rising star in the party — was booed at a Trump political rally in his home state of Wisconsin. Trump came to his defense. "[Ryan] has been terrific and, you know, honestly, he is like a fine wine. Every day goes by I get to appreciate his genius more and more," Trump said, before adding a vaguely threatening disclaimer: "Now, if he ever goes against me, I'm not going to say that." It should be noted: Trump doesn't drink. "I'm tired of divided government"
Ryan understands that 2017 is the best chance he will have in his political career so far to advance the causes he cares about. He recently discussed his discontent with divided government, which Washington has been operating under for the the past six years, a period that largely has been defined by polarization and obstruction, shutdown battles and ideological intransigence. "I'm tired of divided government. It doesn't work very well," Ryan lamented a week prior to Election Day. "We've gotten some good things done. But the big things — poverty, the debt crisis, the economy, health care — these things are stuck in divided government, and that's why we think a unified Republican government's the way to go." Up close, Congress has not been as unproductive as the public believes. Major legislation affecting health care, highways, public education and taxes has worked its way through the legislative process and made it to Obama's desk these past six years. One of the president's last acts was signing a sweeping $6.3 billion biomedical research bill that, among other ambitious goals, advances the cause of finding a cure for cancer. But the big, ideological battles over the size and scope of government have gone unsettled. Next year, Republicans will have their best chance in more than a decade to win the next chapter in that never-ending struggle and, maybe, redefine what it means to be a Republican in the Trump era. Wisconsin is asking federal lawmakers for more control. Gov. 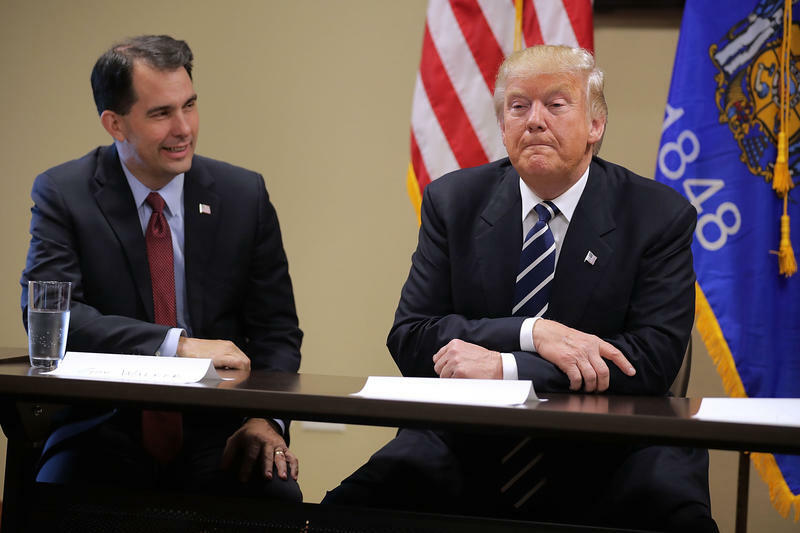 Walker on Tuesday addressed a letter to President-elect Donald Trump asking for more flexibility in administering federal programs. For instance, Walker wants to drug test people who apply for Food Share benefits and control the number of certain refugees allowed to settle in the state. Walker says the changes would help the citizens of Wisconsin.